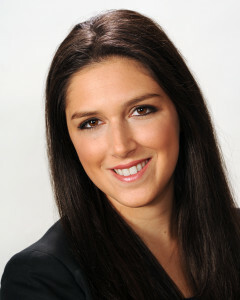 Alyssa Zuckerman is an Associate whose practice focuses on representing employers in both the public and private sectors in labor, employment and education law matters. She has experience in public and private sector collective bargaining, grievance arbitrations, interest arbitrations, employee disciplinary proceedings, unemployment insurance hearings and matters before the New York State Public Employment Relations Board (PERB). She also provides, among other types of training, New York State-mandated sexual harassment prevention training to employers, supervisors and employees. She is admitted to the New York Bar. Alyssa has presented for the New York State Bar Association (“NYSBA”) on the topics of “Social Media and Public Sector Labor and Employment Law” and “The Equal Employment Opportunity Commission’s New Guidance on Retaliation: What’s New, What’s Different, and What’s an Employer To Do?” Alyssa has also presented on “Social Media and the Workplace: Labor and Employment Legal Issues,” at Cardozo Law School and on “The New York State Paid Family Leave Law” and “Addressing Safety and Emergency Issues in the Public Sector” for the Long Island Labor and Employment Relations Association (“LI LERA”). In addition, Alyssa has guest-lectured at Hofstra Law School and SUNY Old Westbury on “Collective Bargaining, Mediation, Fact-Finding and Interest Arbitration in the Public Sector” and has presented on “Internet Acceptable Use Policies, Filtering and Monitoring” at the National Business Institute. She is also a chapter author of the 2017 edition of Public Sector Labor and Employment Law. Alyssa currently serves as the Executive Vice President of the FDNY Firefighter John F. McNamara Foundation (also known as “The Johnny Mac Foundation”); on the Board of Directors of the St. John’s Law School Alumni Association; on the Board of Advisors for the St. John’s Law School’s Center for Labor and Employment Law; as a Board member of the Long Island Labor and Employment Relations Association (LI LERA); and on the Executive Committee of the NYSBA Labor and Employment Law Section as Chair of the Membership Committee. She is also a member of the American Bar Association. Alyssa also volunteers as a coach for the St. John’s Law School’s American Bar Association Client Counseling Competition team. Alyssa received her law degree from St. John’s and her undergraduate degree from New York University.